Leave Moscow behind for a day, and explore the Golden Ring: a collection of cities northeast of Moscow that are famed for their beauty and heritage. Following pickup directly from your Moscow hotel, travel into the storybook Russian countryside. 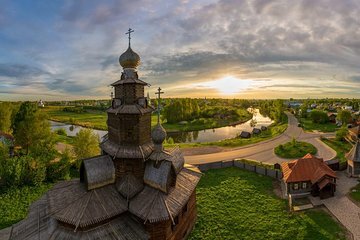 You’ll be visiting Suzdal and Vladimir: two UNESCO World Heritage sites that are renowned for their bucolic landscapes, scenic white-stone buildings, and traditional way of life.